PERSONAL INJURY PROTECTION: Personal injury protection (PIP) is something that is advisable to partake in. The cost associated from an accident can quickly add up and in order to cover those costs personal injury protection is available. With this coverage, your medical bills along with those of your passengers will the paid no matter who is at fault for an accident. 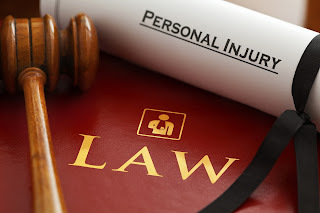 In addition, Personal Injury Protection is about financial protection for you and your family. The personal liability insurance within your homeowners coverage gives coverage for physical harm and property damage sustained through others for which you or protected residents of your family are legally accountable. For example if you fall down your stairs or if your accidentally throws a ball through a neighbor’s window breaking an expensive vase, you may be held legally responsible for the damages caused or let’s say a quest visit your home and while walking through your garage is hit by a falling ladder the guest suffers a broken arm and sues you for damages which can be thousands of dollars, this is where personal liability insurance can kick in, the insurance will cover the cost of medical bills as well as your legal defense fees up to the limit of your liability coverage, some / or most personal liability insurance coverage may also be able to cover an incident that occurs outside your home or property. Note: Be sure to carefully review your home or renters policy so that you have a solid understanding of what is and isn’t covered by personal liability insurance. Personal liability insurance differs from company to company so choose the one that best suits.